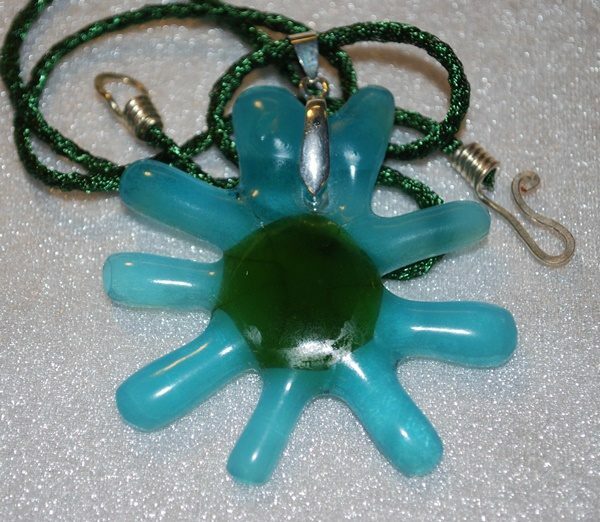 This necklace is made out of fused grassy-green and sky-blue bottle glass. 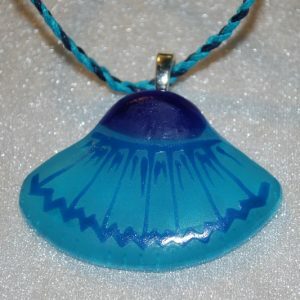 It is suspended on a knitted metal wire cord. 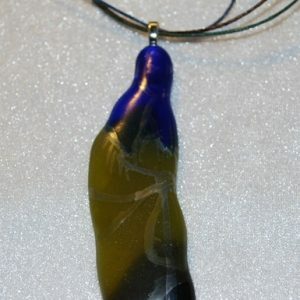 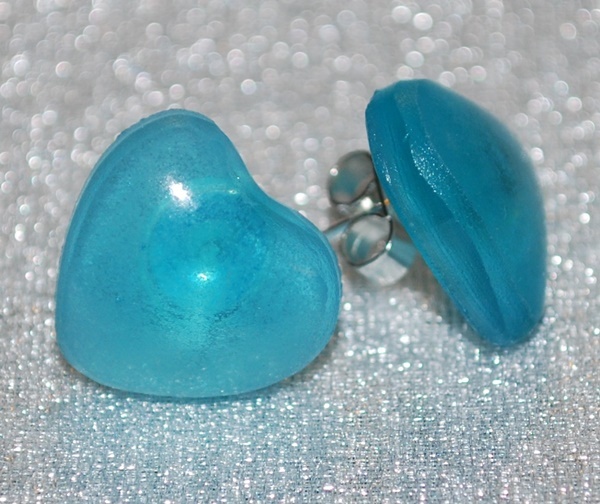 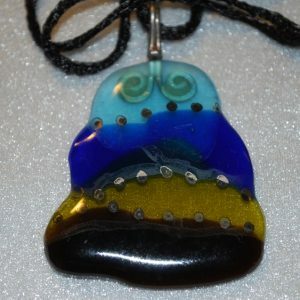 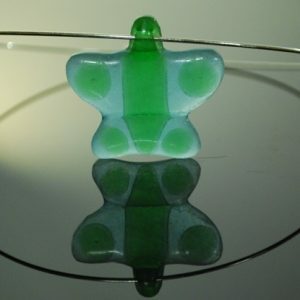 The pendant is approximately 50 x 50 mm (2 x 2″), the cord is approximately 48 cm (19″) long.